It seems like Jagex is going to release of the 120 Skillcapes. However, a player indicated that you now are almost losing interest to skillcapes for that is no longer representing a real achievement. Therefore, the player suggests that maybe it's time to focus on reviving the top floor of the Dominion Tower, instead of releasing something they may not interest. Here are his suggestions as below. 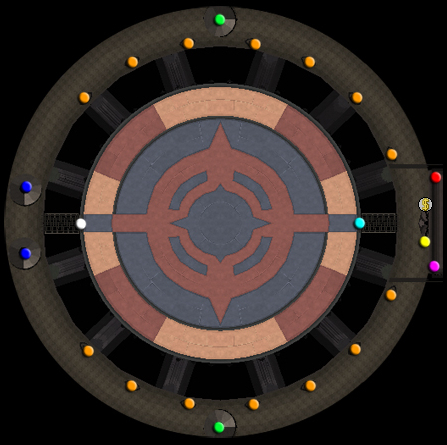 As for the top floor of the dominion tower updates, the best way is to unlock the top floor of the Dominion Tower, containing all other content within the tower. Based on that, Jagex can update PvM challenges, including fighting all 4 GWD Generals at the same time, fighting Nex with all 4 Nihils released into the Arena, fighting HarArken with Jads spawning in the Arena, or soloing a Vorago Variant. Rewards can be always attractive to players. Along with the new challenges unlocking, there should also be an awesome reward. The Tower Cape would be the best offensive in slot cape, with base damage increases for all combat types instead of critical bonuses, but worst in slot for defensive and prayer bonuses. The cape can only be worn as long as all PvM challenges are completed, and players will be forced to complete every new challenge issued by the Tower. Alternatively, players could complete a randomly assigned challenge every day for access to the cape for 24hs. Either way, the cape will represent a player's skill and dedication to PvM, rather than their ability to multitask netflix with proper window resizing. What's your advice for this suggestion? Will you want some 120 Skillcapes or a new tower challenge? Dominion tower is on the list of one those things that need to be updated, so maybe it would be nice if it got a use by doing this.